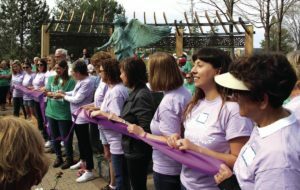 Our 8th Annual Walk to Remember and Re-Dedication of the Angel of Hope Garden Expansion on May 5, 2018 was a wonderful day of remembrance. The refreshed space is simply beautiful! 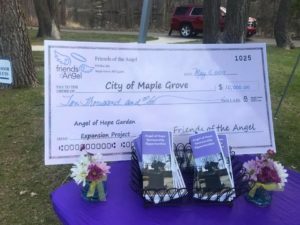 The Friends of the Angel have a strong commitment to raise funds for events for families grieving the loss of a loved one and provide opportunities to remember them at the Angel of Hope. 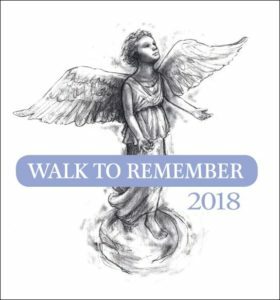 We were able to contribute another $10,000 toward our goal of raising $75,000 toward the total renovation effort for the Angel of Hope garden expansion project at the Walk to Remember. To date, we have already donated $25,000! WOW! We are so thankful to the many generous sponsors, the walkers, and dedicated volunteers who made the day such a memorable one. We were able to raise over $6,500! We are very grateful for your support. 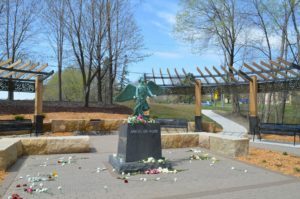 We will continue to give the funds raised at the Walk to Remember toward the renovation project. We are especially thankful to the volunteers from the Women of Today, Maple Grove and Maple Grove Hospital for their commitment to our event us over the years.